Dr Malin Almgren DDS (GDC Reg No: 75536) qualified from the Karolinska Institutet, a Dental University in Sweden, in 1999. 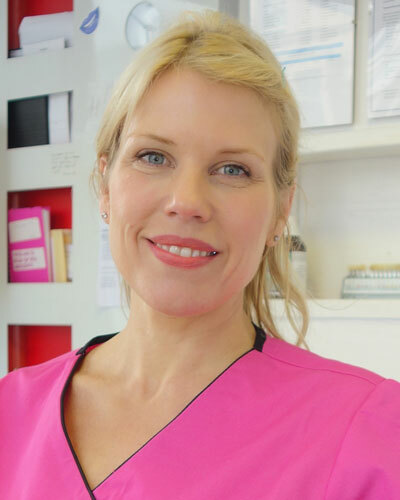 A highly experienced general and cosmetic dentist, Malin has a special interest in transforming the smiles of patients through Restorative Dentistry (both fixed and removable). Malin believes that every smile, just like every person, is unique - so she is really passionate about treating her patients as individuals. She enjoys meeting new people, and with this, enjoys getting to know them in order to tailor treatment to their unique needs and expectations. With an interest in continuous professional development, Malin often attends courses on Restorative Dentistry and has achieved further qualifications in Facial Aesthetics - which means she is able to offer our valued patients at SE1 Dental a choice of wrinkle reducing treatments to help soften facial lines for a younger looking appearance.